MetalRockNews: Motorhead drummer Mikkey Dee: "Motorhead is over, of course"
Motorhead drummer Mikkey Dee: "Motorhead is over, of course"
Motorhead drummer Mikkey Dee was interviewed by Expressen after Lemmy Kilmister's death. You can read some excerpts below. He said: "Motorhead is over, of course. Lemmy was Motorhead. But the band will live on in the memories of many. We won’t be doing any more tours or anything. And there won’t be any more records. But the brand survives, and Lemmy lives on in the hearts of everyone." 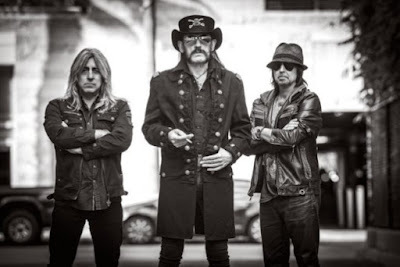 About Lemmy’s recent health problems, Dee said: "He was terribly gaunt, he spent all his energy on stage and afterwards he was very, very tired. It’s incredible that he could even play, that he could finish the Europe tour. It was only 20 days ago. Unbelievable. I’m incredibly grateful over the years we had, and that we had such a good time together."